Every car manufacturer designs their cars differently and thus have different specifications and needs. To match these specifications, the car manufacturers choose an appropriate automobile spare parts manufacturer and term their product as a genuine part of their car or vehicle. Thus, every car model has a different genuine part manufacturer and so you should get genuine automobile spare parts that are ideally designed to match your car’s specifications and needs. Genuine automobile spare parts are designed precisely to fit in a particular car model of a particular company. Thus, with genuine spare parts, you can rest assured that nothing is ever going to fit your car better. Genuine spare parts help you be safe and covered in case of any malfunctioning in it. The guarantee of replacement covers all failures and can provide a warranty of 12 to 24 months, depending on the brand. How to Select a Genuine Automobile Spare Parts Supplier? While selecting an automobile spare parts supplier, there are certain tips that you should consider before making a decision. A reputable name can be developed only with experience and number of buyers. Thus, relying on the reputed names while looking for genuine spare parts is a safe option. Do not settle for “specialized dealers” of only a particular brand. Go for a company that provides every major brand under one roof. Why? Because the specialized dealers will be keen on selling you a particular brand and not something that is ideal for you or your car. Cars have their own needs and show it in different ways. The longevity of your car’s life depends upon how you treat it. Thus, you can follow the tips mentioned below and keep your car in excellent condition. There are many car-owners who tie-up with car manufacturers to set up regular services. Such scheduled services can help your car to not take you back with its unexpected break-down. 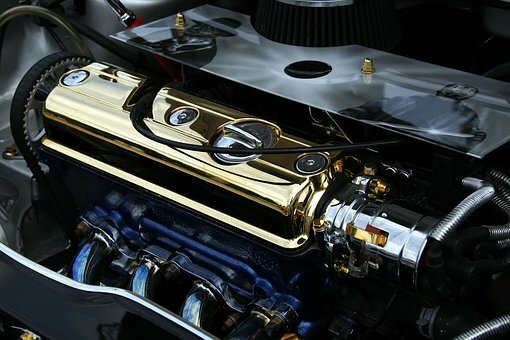 In the regular services, the professionals check all your automobile spare parts and access the condition of your car. This helps them to perform repairs and replacements before failure struck. Cars communicate in their own way. You can always tell what is wrong with the car, with the kind of sound it produces. Problems can be detected and solved if you pay close attention to the sound your car produces in its working state. We offer a wide range of brands under one roof. KAE- Krishna Auto Electric provides 100 per cent genuine automobile spare parts, making us the most reliable option in Gujarat. Call us on +(91)-(79)-25735325, 29705325 to inquire more! Get in touch now for an instant quote.